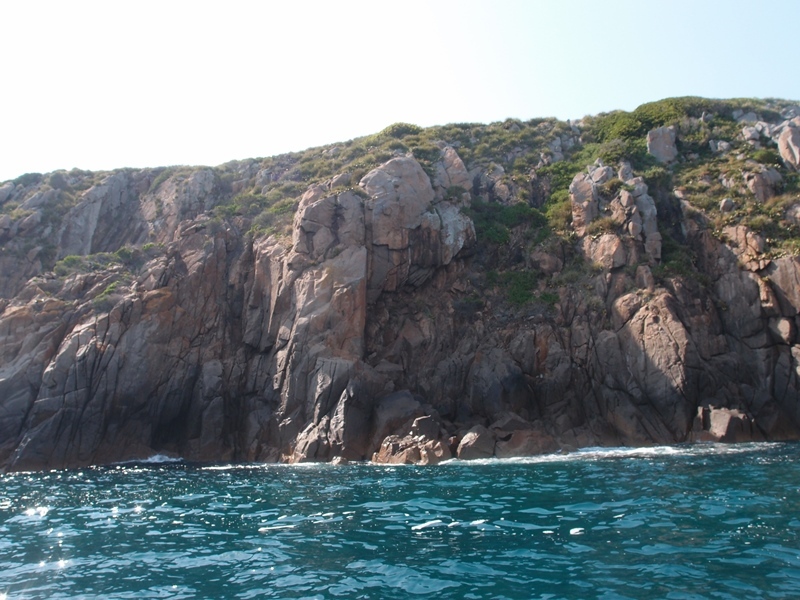 Boondelbah Island lies straight out from the Port Stephens heads. There are several sites that can be dived around the island. At the southern end of the island there is a steep sided inlet, called “Safety Bay”, which is protected from northerly weather. The bottom in this bay drops away in a steep gutter and shelters the usual variety of temperate reef fishes. On the Western side of the island the walls of the island are made up of a jumble of round boulders dropping down to a sandy bottom at 15m. The sand is barren towards the Northern end of the island but there is a nice little sponge garden at the South-West corner which has a good selection of low growing sponges. 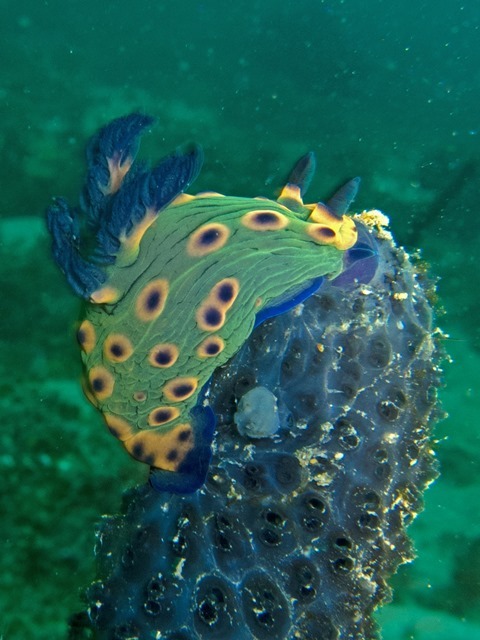 The sponges harbour lots of nudibranchs, including the Doughnut Nembrotha nudibranchs more famously associated with Cabbage Tree Island. The sponges also seem to harbour a large number of spotted wobbegong sharks, and a good selection of temperate fish. The rock walls also teem with fish life making for an interesting and varied dive.